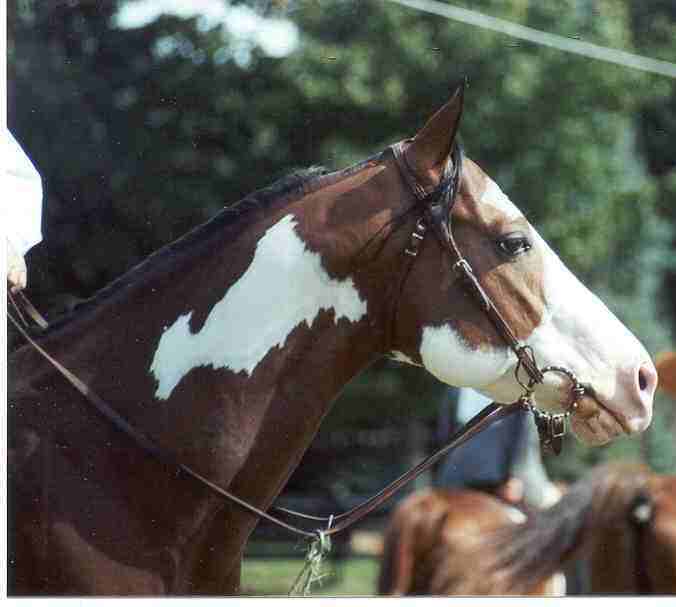 15.3 hands, Strong powerful breeding and royal bloodlines. 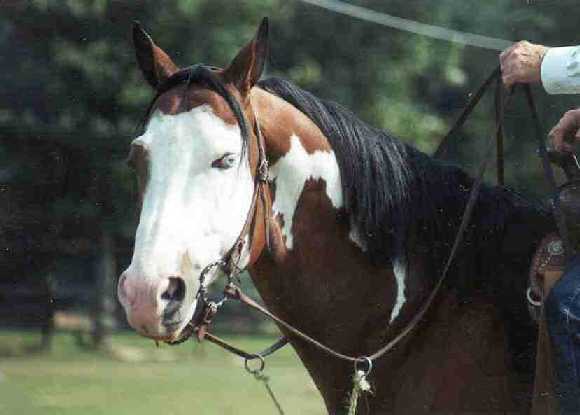 He is Overo tri colored, bay with black points. Stallion fee is $500. $50.00 at booking, and this is included in the stud fee. We offer a live foal guarantee. At this time in Major's young career we can not offer a color guarantee. WE do not charge an imaginary shoot fee. Mare care is $5.50 per day. No extra for a mare with foal. Major has an R.O.M. 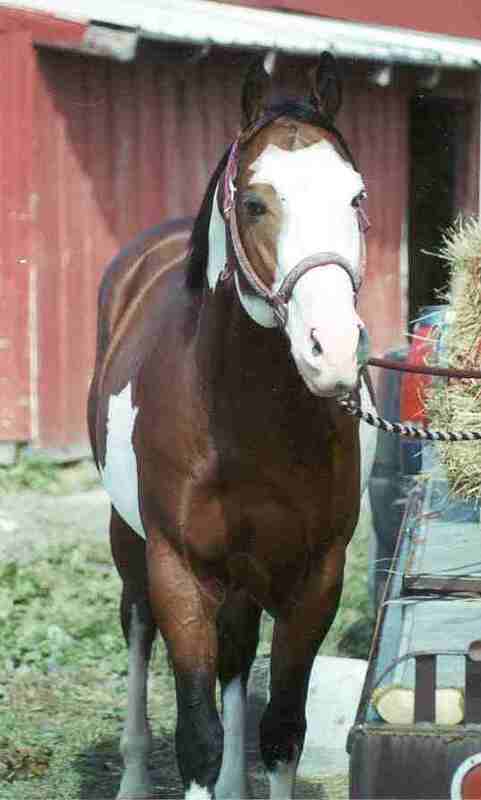 at halter as a Paint and at the Pinto shows. He has wins at halter here, in the northwest and up in Canada. He is riding well and has that perfect disposition. One of his wins is represented on my desk by way of a bottle of wine which was given to the winners of the Western Canadian National Championship Pinto Show and Futurity.